William Niemi has been a leader in the building industry over the course of a long and distinguished career. He is highly respected in the region for his business acumen, his philanthropic efforts, and his willingness to take the lead in improving his industry and his community. 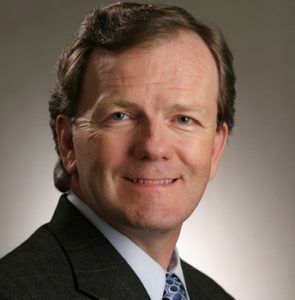 Before founding Niemi Development Partners, Bill was the President of Dunmore Homes helping to expand the company’s operations into four states producing over 800 homes annually. Prior to Dunmore he served a President as CEO of FPI Development a regional multifamily home developer. Bill began his career as a Certified Public Accountant with Price Waterhouse, serving various industries in Michigan and California. When the Building Industry Association decided in 1996 to form a new chapter of HomeAid in the Sacramento area, Bill stepped forward to shepherd the new organization through its initial stages of development. As founding President under his guidance, HomeAid Sacramento began providing shelter facilities for organizations that serve the temporarily homeless, completing nine such projects in its first nine years of existence. In more recent years, and without sacrificing his involvement with Home Aid, Bill served in all the leadership roles of the North State Building Industry Association, completing ten years of service on the Board of Directors, including a year as Chairman of the Board. In addition, Bill has been an active leader with the California Building Industry Association serving in numerous volunteer capacities. To cite but three of his philanthropic activities, Bill has supported the restoration of the historic Cathedral of the Blessed Sacrament in Sacramento and been a long time supporter and friend of the California Homebuilding Foundation and the Los Rios Community College District Foundation. ​Bill is a dedicated husband and father. He and his wife, Beth, are the parents of two adult children, Holly and Kelly, and reside in Granite Bay, California.